The Civil Service Commission Regional Office VI (CSC RO VI) would like to inform applicants for grant of eligibility under special laws who have not yet paid the processing fee to settle their payment at the CSC Regional Office VI or nearest Field Office. The Civil Service Commission Regional Office VI (CSC RO VI) will hold the seventh (7th) Regional Congress of Human Resource Management Practitioners (HRMPs) on October 4-5, 2018 at Diversion 21 Hotel, Mandurriao, Iloilo City. A total of 4,929 examinees passed the Fire Officer Examination, while 1,089 others made it to the Penology Officer Examination, the Civil Service Commission (CSC) recently announced. A total of 533 individuals shall be conferred the Local Treasury Eligibility after passing the Basic Competency on Local Treasury Examination (BCLTE) conducted on June 24, 2018. The Civil Service Commission Regional Office VI (CSC RO VI) held the Recognition Program for the 2018 Honor Awards Program (HAP) Regional Winners on September 6, 2018 at the SM City Iloilo North Wing, Mandurriao, Iloilo City. The HAP is an annual Search for Outstanding Government Workers which covers three categories: (1) Presidential Lingkod Bayan, (2) CSC Pagasa, and (3) Dangal ng Bayan awards. The Civil Service Commission Regional Office VI (CSC RO VI) will hold the GOVERNMENT JOB FAIR on September 7-8, 2018 at the SM City Iloilo North Wing, Mandurriao, Iloilo City. Said activity, which is part of the celebration of the 118th Philippine Civil Service Anniversary (PCSA), will be launched on September 7, 1:00PM. Around 15 government agencies will participate in the Job Fair. It aims to make accessible, transparent, and open vacancies to highly qualified talents and job seekers in the government service. Around 21 government agencies will join GOVERNMENT EXPRESS AT THE MALL spearheaded by the Civil Service Commission RO VI on September 3-6, 2018 at the SM City Iloilo North Wing, Mandurriao, Iloilo City . Said activity aims to bring government services closer to the public. On the other hand, 13 Honor Awards Program (HAP) Regional Winners will be awarded on September 6, 2018, 1:30PM at the SM City Iloilo North Wing, Mandurriao, Iloilo City . Said activities are part of the celebration of the 118th Philippine Civil Service Anniversary. The Civil Service Commission (CSC) conferred the Parangal sa Lingkod Bayani to deceased civil servants from region 6, namely, Firefighter I Sabu J. Espina of the Civil Aviation Authority of the Philippines (CAAP) Area VI, Bacolod-Silay Airport and Police Officer I Joefel T. Odon of the Regional Mobile Force Batallion, Philippine National Police (PNP) Police Regional Office 6. In CSC Resolution Nos. 1800447 and 1800458 promulgated on May 2, 2018 and June 5, 2018, respectively, the Commission resolved to provide a tribute for the late Mr. Espina and PO1 Odon, a scholarship grant in any of the PASUC-member state universities and colleges and one-time financial assistance of One-Hundred Thousand Pesos (P100,000) to their immediate families. This is in line with the CSC’s Pamanang Lingkod Bayani (PLBi) program. The Civil Service Commission Regional Office VI (CSC RO VI) will hold the 2018 R.A.C.E. To Serve Fun Run on September 2, 2018, 5:00AM. Convergence point is at the SM City Iloilo Southpoint, Mandurriao, Iloilo City. The Fun Run will be held simultaneously nationwide as part of the 118th Philippine Civil Service Anniversary celebration. Interested parties may also contact the CSC RO VI at tel. no. (033) 321-2668. The Civil Service Commission (CSC) conferred the Program to Institutionalize Meritocracy and Excellence in Human Resource Management (PRIME-HRM) Bronze Award to Carlos H. Hilado Memorial State College, Department of Trade and Industry Regional Office No. 6, and Provincial Government of Aklan on July 20, 2018 in Davao City. Please be informed that Civil Service Commission Regional Office VI (CSC RO VI) will have its Team-Building Activity (TBA) on July 13-16, 2018 at Puerto Princesa City, Palawan. Skeletal personnel will be present on July 13 and 16, 2018 to receive documents. The Civil Service Commission announces the conduct of the Pre-Employment Test, Promotional Test, and Ethics-Oriented Personality Test (EOPT) on October 24, 2018. The tests are for government agencies opting to adopt any or all of the tests to be part of their screening process on recruitment, placement, and promotion. All applications shall be coursed through the agency adopting any or all of the tests. Filing of applications will be from June 25 to August 24, 2018. In Region 6, the testing center will be in Iloilo City. For details, please see Examination Announcement No. 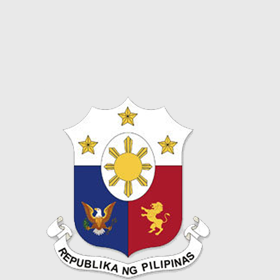 06, s. 2018 or visit the CSC website: www.csc.gov.ph. The Philippine National Volunteer Service Coordinating Agency (PNVSCA) is conducting the annual Search for Outstanding Volunteers. For details, please visit the PNVSCA website at http://www.pnvsca.gov.ph/sov/sov_about.php. Please be informed that the filing of applications for the August 12, 2018 Career Service Examination- Pen & Paper Test (Professional and Sub-professional levels) for Iloilo City Testing Center is ongoing. Interested applicants may file their applications at the Civil Service Commission Iloilo Field Office located at the Bureau of Jail Management and Penology Compound, Fort San Pedro, Iloilo City, aside from the CSC Regional Office VI. The Civil Service Commission (CSC) is inviting all government choral groups to participate in this year's Government Choral Competition. Deadline for submission of entries to designated regional centers will be on June 15, 2018. The grand winner will receive a plaque and cash prize of P200,000. Special awards will also be given to participants. In CSC Memorandum Circular No. 6, s. 2018, all government agencies are encouraged to post the 118th Philippine Civil Service Anniversary (PCSA) tarpaulin on conspicuous areas in their respective offices. The design and specifications of the tarpaulin may be downloaded through this link: http://www.csc.gov.ph/pcsa2018. "Lingkod Bayani: Maka-Diyos, Makatao, Makabayan." For more details, please visit the CSC website www.csc.gov.ph. Evidence-based Anti-red tape survey results bring "Good News"